Got a Ruger 10/22 and want to make it shoot (and look) better? Since it’s one of the most popular rifles out there…there’s so many options and ways to get overwhelmed. But don’t worry, we’ll guide you through all the best upgrades from stocks to internals, optics, and even cosmetic. 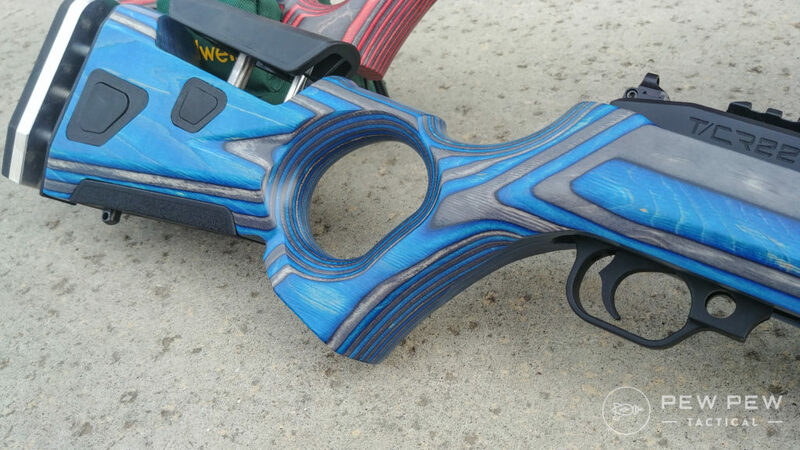 By the end, you’ll know exactly how to modify your 10/22 to meet your exact needs and budget. My first gun (and favorite rimfire rifle)…after I shot it the first time…I knew I was hooked. It’s gone through a couple iterations as my needs and tastes have changed. Here was the first mod. Go easy on my rattlecan paint job! Almost all my friends have one and we’ve all got the modding bug…so we know what works and what doesn’t. There are a LOT of different models of the 10/22 on the market, to find the one that is right for you, take a look at the 6 Best 10/22 Models! 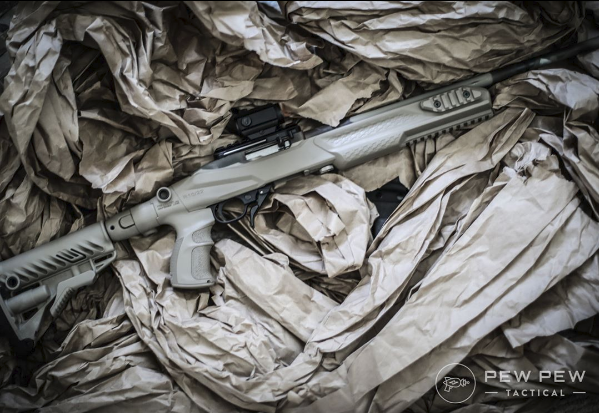 Without further ado…all the best upgrades you can do to your Ruger 10/22. The biggie in determining the overall feel and look of your rifle. I used the standard synthetic one for a couple outings before I wanted to go with something different. But here are some that build upon the standard look, while others take it to more tactical, competitive, and even bullpup configurations. This one leans toward the tactical look and is AR-15-esque with the pistol grip and adjustable buttstock. I like how it enables the use of Picatinny rails and a regular + angled buttstock. Plus it’s easy on the bank account at $80. 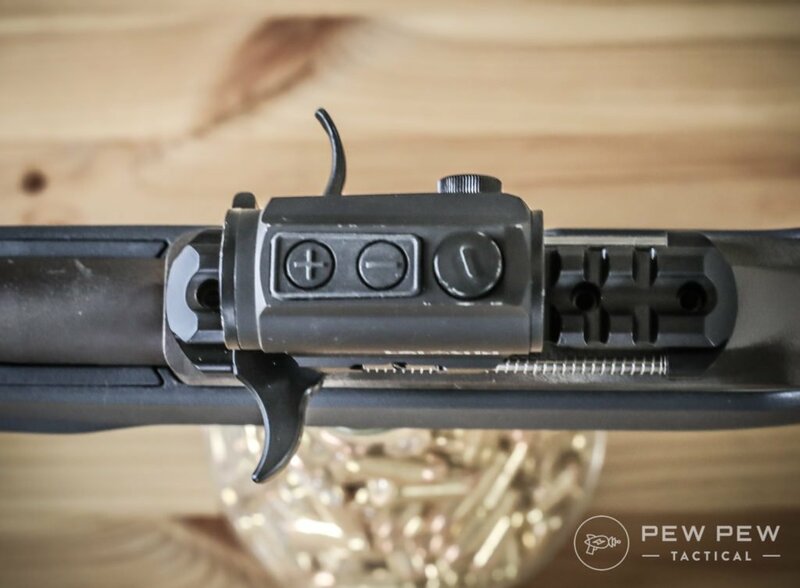 Make sure you choose the correct one based on your barrel: Regular, Bull Barrel, or Takedown. Another favorite of people who want to keep it simple. The over-molded stock feels great in the hand with just the right amount of rubberized grip. Even more affordable ($60) at than the Intrafuse above…the Hogue comes in Regular and Takedown varieties. 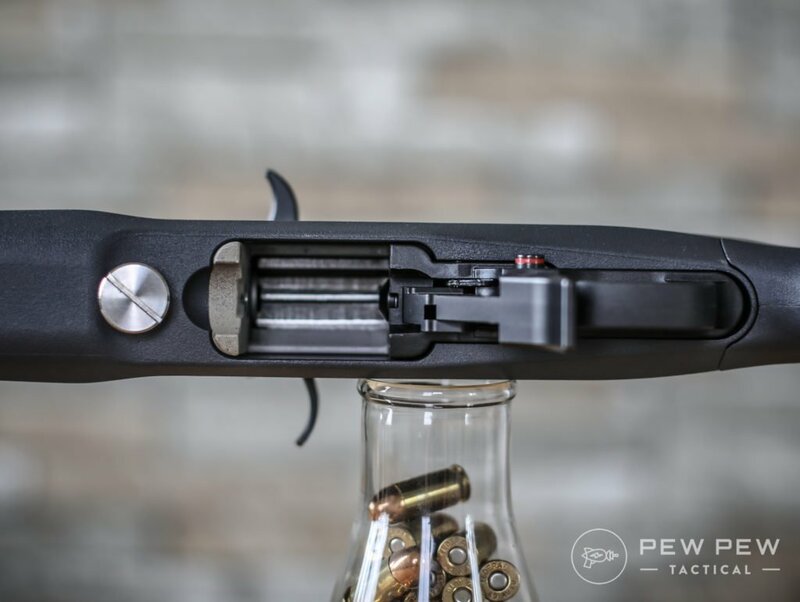 The Tactical Solutions Stock is the go-to for precision shooting with its thumbhole stock. A lot pricier ($200) but worth every penny. Only for bull barrels though! This super-cool bullpup stock comes to you from High Tower Armory ($270). Expensive but now you get a sweet .22LR P90 clone. My previous personal favorite, Magpul’s X-22 Hunter ($120) has a great grip angle and overall feel. It comes with adjustable inserts to match your length of pull. Plus multiple sling mounting options. And finally…it will fit regular or bullpup barrels. And what’s my current favorite stock? 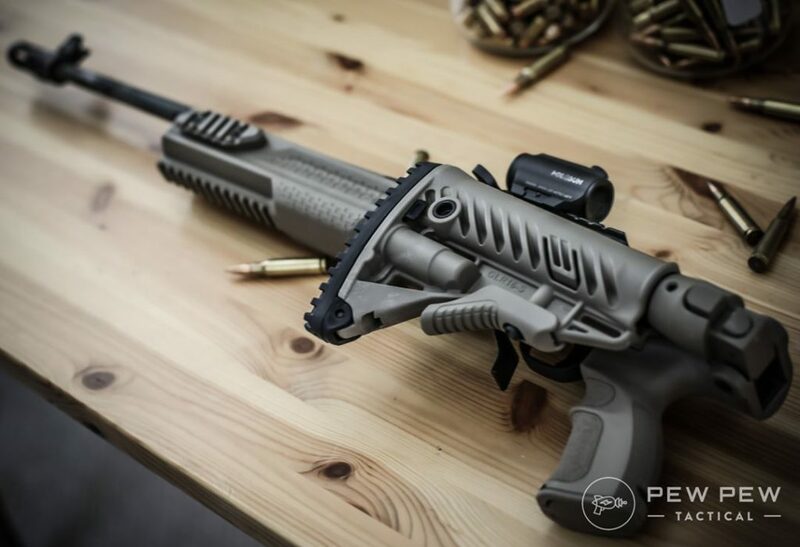 It’s the R10/22 M4 Foldable Stock ($160) from the Israeli company FAB Defense. It folds down so you meet the 26″ overall length laws for CA with the stock barrel. Please be sure to check your local laws for length. There’s plenty of rails up front, the stock collapses and extends, and some spacers to fit both bull and normal barrels. I figure if it’s good enough for the IDF’s less lethal weapon of choice, it’s good enough for me to plink and sometimes shoot Steel Challenge. Stay tuned for a more in-depth review as I run it more. Great stocks if you’re looking for a more classic wooden style, one of best is the AT-One and AT-One Thumbhole. With a huge selection of awesome colors and styles, it’s going to be easy to find one that matches exactly what you’re looking for. I like the AT-One since it is adjustable and rock solid. 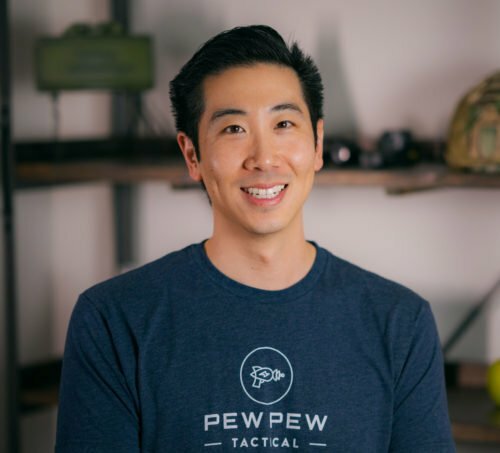 If you want better accuracy…you better change the stock trigger. Having a trigger with a lower pull weight…plus one that breaks like a glass rod is almost guaranteed to up your precision game. We hands-on review four of the most popular triggers out there in Best 10/22 Triggers…but here are our favorite two. 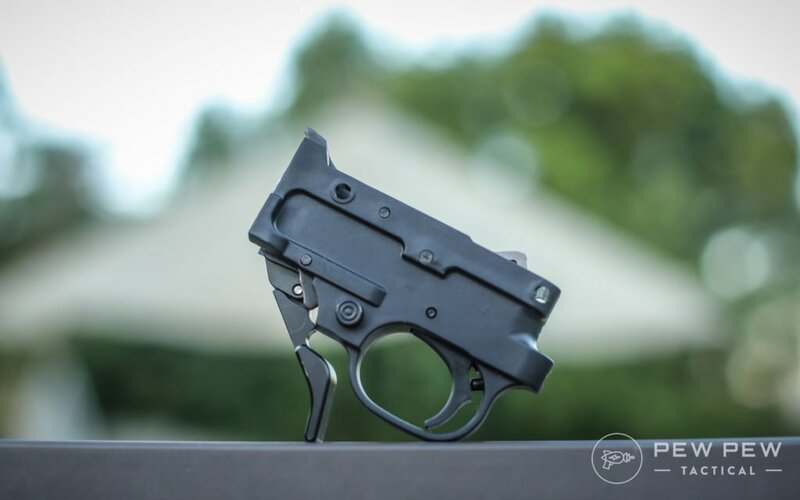 The BX Trigger ($75) is Ruger’s upgraded trigger. Normally I’m pretty *meh* about factory upgraded triggers…but the BX is great. It lives up to its 2.5-3.0 lb trigger pull (mine is 2 lb 4 oz). The break is clean and has minimal over-travel. It’s what I have in my upgraded 10/22 since it’s the best bang-for-the-buck in my opinion. What’s your take on the best (and one of the easiest) upgrades you can do to your 10/22? If you’ve been reading up on 10/22 upgrades…Volquartsen has to have come up. They make some great stuff that’s worth the high price tag if you’re looking at the best. 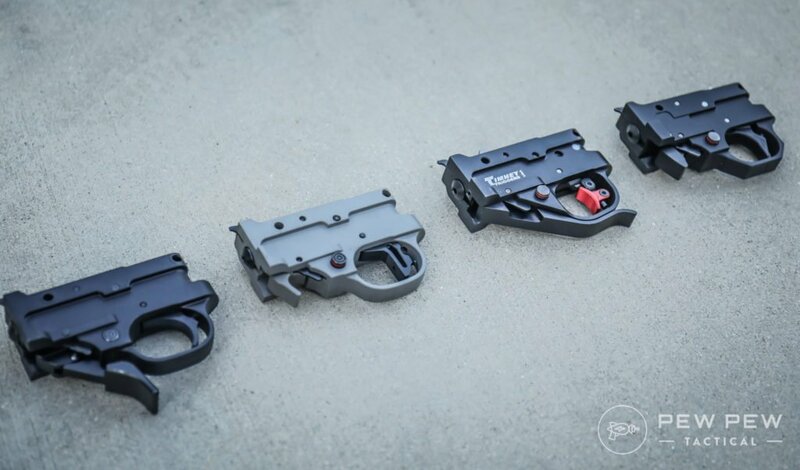 If you are…here is their upgraded trigger ($225). Light trigger pull, glass rod break, and adjustable for minimal overtravel. Plus it comes with auto bolt release and an extended magazine release (two other upgrades we recommend). 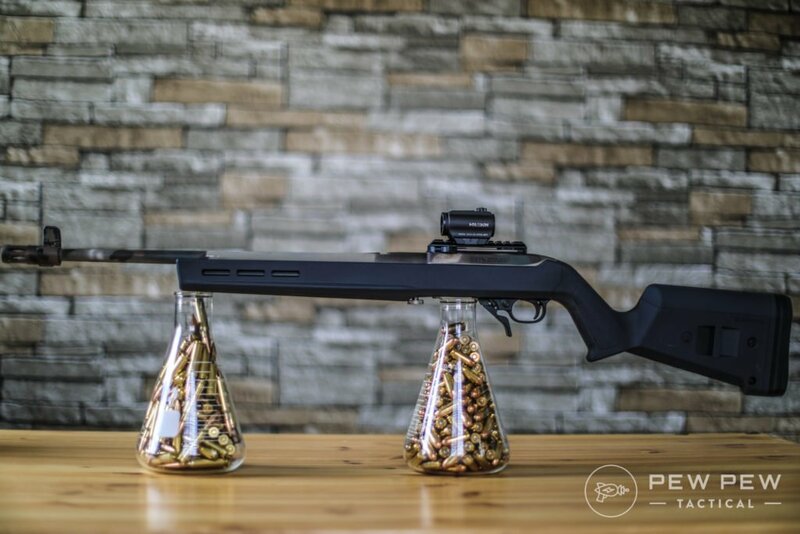 The sights that come stock on a 10/22 are ok for plinking…but what about when you want to get serious with groups/precision or speed? What I first installed on my 10/22. The GI style Techsights ($75) allow much more precise shots and also windage adjustment. Plus you don’t need to install third-party scope mounts. If you want to get the fastest sight acquisition…you’ve got to go red dot. I cover a variety of red dot sights for the AR-15 in this Ultimate Guide which will work great with the 10/22. My vote goes to the Holosun ($140) for the AR-15 and general robustness. Plus it enables you to mount it low on the rail (next section). But you can’t go wrong with the TRS-25 ($70) for the best economy red dot. 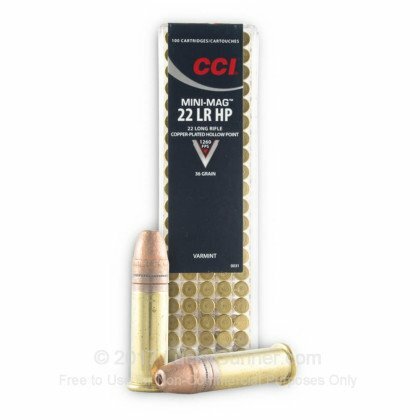 Remember…the .22LR has almost no recoil so you don’t need the most robust things out there. Planning to reach out and touch something? Get yourself an affordable and super highly-rated rimfire scope like the Simmons 3-9x ($40). Be sure your mount will work with the provided dove-tail attachments. Looking for more magnified options? Check out our new Best 10/22 Scopes article. Make sure whatever optic you go with…you get the right rails to go along with it. The three biggies are…Picatinny, Weaver, & Dovetail. This titanium takedown knob ($25) saves you a LOT of time since you can use hand power to enable a quick takedown. Like how Volquartsen holds the ground for big upgrades…Tandemkross rocks for the accessories. Just make sure you’re using the correct models for it. It holds on my Magpul stock but isn’t super tight. 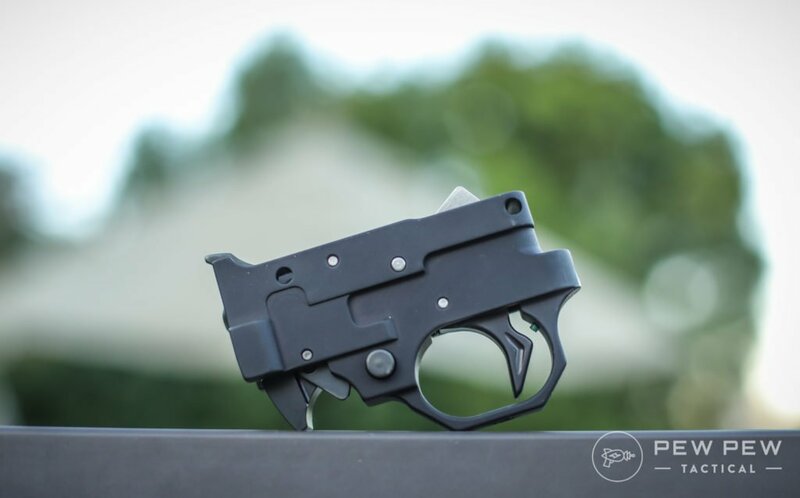 If you’re taking your time plinking at the range…you probably won’t need this. But if you want some speedier reloads…especially during competitions…I’d take a look at getting an Extended Mag Release ($45). I love it since you can either push OR pull to release the mag. If you only need it one direction, you can check out this one. I also like having an extended charging handle ($25). Again…makes it much easier to manipulate the bolt during competitions. Plus it looks super cool being skeletonized. And if you’re a lefty…or share your rifle with a lefty. This combo charging handle + Picatinny scope base ($80) might be for you. I have it installed and my left-handed buddy raved about it. It’s a little more difficult to pull than having the extended charging handle…but much easier than having to change hands or going underneath. Since the recoil is so minimal…there’s not a true need for a muzzle brake ($35) when compared to larger calibers. But it still helps with rapid firing and engagement of multiple targets. I don’t have one installed since my barrel is unthreaded…but I’ve tried my buddy’s and it does help when you’re double-tapping. These are the internal upgrades that will add some much-needed capabilities to your 10/22. It’s kind of odd that these weren’t added from the factory in the first place…especially given how much they help! So the 10/22 bolt release…it’s pretty annoying, especially for newbies. The Guardian Bolt Release ($10) affordably solves this problem. Now all you have to do is pull the bolt back when it is locked…and it will spring forward upon release. Sometimes your 10/22 fails to extract correctly and you jam up? Getting an extended extractor ($10) will fix it right now. This Volquartsen tune up kit ($34) adds the extended extractor plus firing pin which will help improve ignitions if you aren’t using the best rimfire ammo. Because of the way rimfire ammo’s primer is all around the bottom…sometimes you need a better geometry firing pin…which you’ll get right here. Heavy contour barrels ($100) that are available in stainless steel, 18″, and even fluted varieties. Daaang, these carbon fiber barrels ($270) are ultralight with match chambers and some already have built-in compensators. The 10-rounders are fine…but 25-rounders are a lot more fun! If you can’t buy higher capacity mags…but still want to rock and roll. The Triple Mag Coupler ($10) is the answer. This “coupled” with a Tandemkross extended mag release and you’re GTG. There’s also a Tandemkross double clear version ($10) too. The go-to is Butler Creek’s 25-Round ($15) for extended capacity and extended fun. I cover a lot in my Best .22LR Ammo article, but I’ve found my 10/22 to be a little finicky with ammo…especially before I did some of the upgrades I listed above. But…CCI varieties have always been the best. 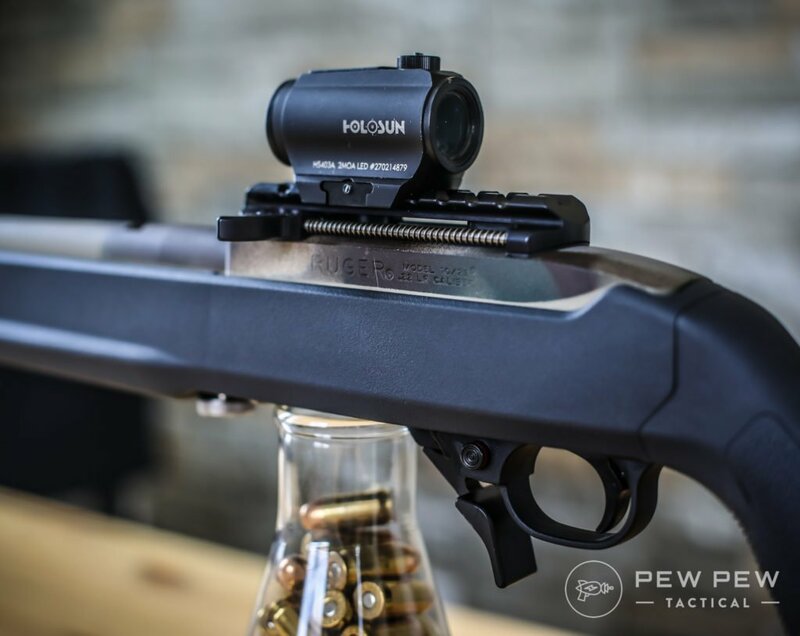 So there you have it…all the best Ruger 10/22 upgrades to make yours the best it can be. This versatile and venerable firearm can be modified to an extreme degree, and is a great choice for those who want to tinker and toy with a new gun or get into some light-to-moderate gunsmithing. Did you find anything on this list useful? Is there anything that might find a home on your 10/22? Anything I missed? Let me hear about it in the comments below. The first mod you’re going to want to add is the bolt release (Speed Beez or Volquartsen). Then, replace the buffer pin, those break a lot (Kidd or TufferBuffer). Trueshot sights have adjustable sights and integrated rail. Ditch those turrible factory sights. Then get some of those Butler Creek Steel Lips magazines that lock together. Get some speed loaders too (Butler Creek or Champion). The best takedown I’ve seen is the one from agparms.com. That is schooper schweet (not available in blue states). I plan to get a 10/22 and from the start upgrade the trigger, tune up kit, and stock. should you just get a base 10/22? i do want a threaded barrel to suppress. For sights i will run a dot, or a dot scope. Thanks for any info on this. Start with the base. You’re eventually going to be replacing just about everything. 10/22 upgrades are ongoing projects. Look for the 10/22s with the birdcage flash suppressor (like model 11112) because they come with the threaded barrel. 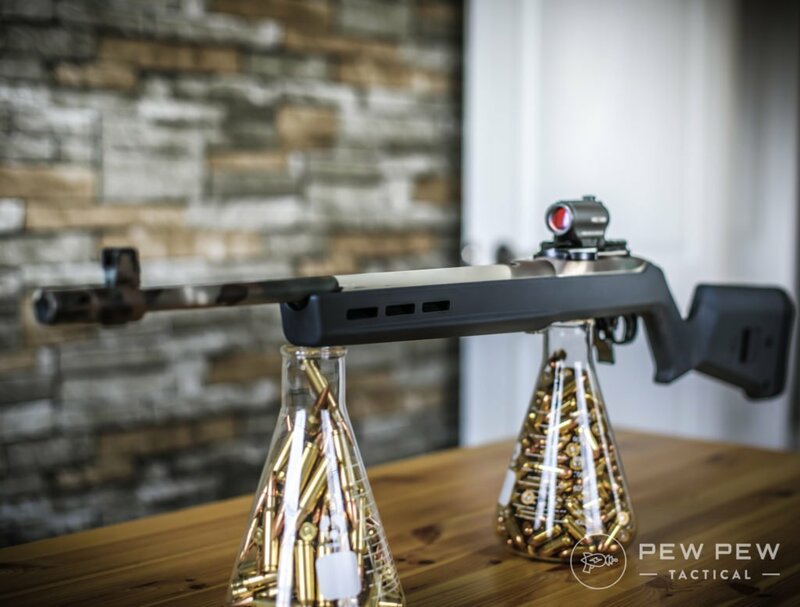 In every gun store, you’re going to find a modded out 10/22, but you’re going to want to customize it yourself. I was surprised to not see any Kidd products listed. I have a few things from Kidd and they all are topnotch.